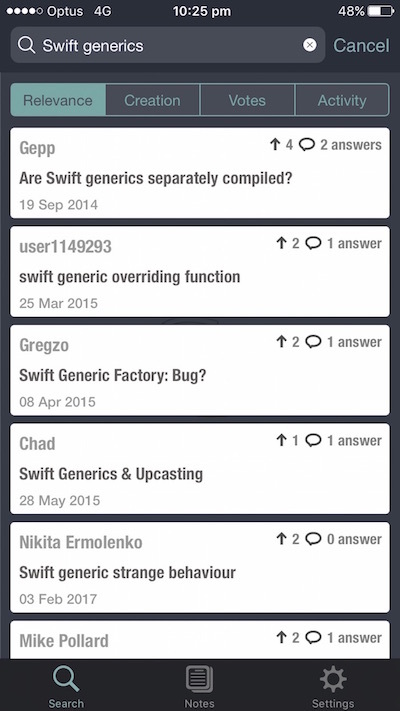 StackSurfer provides a smarter way to search for questions and answers in Stack Overflow. You can search for questions regarding programming, design patterns, operating systems and just about anything to do with software or hardware. Faster and efficient search interface. Easily sort questions based on Relevance,Votes,Creation date and User activity. Save favorite answers to Notes. Access Notes anywhere, anytime using iCloud. Toggle settings to hide down-voted answers and questions. Toggle settings to sort answers by Votes and dates. The app is free to download from Apple App Store and provides In-App Purchases. This app was created by SlickClickStudios. Visit our website (http://stacksurferapp.net) for more information. So get in touch via stacksurfer@gmail.com (mailto: stacksurfer@gmail.com). 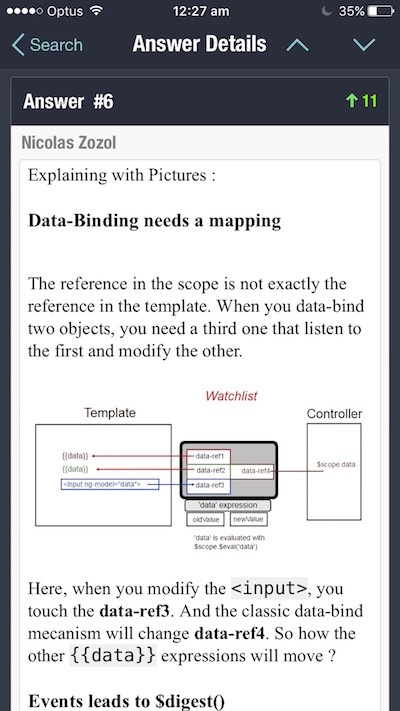 This iOS app has been programmed in Swift. 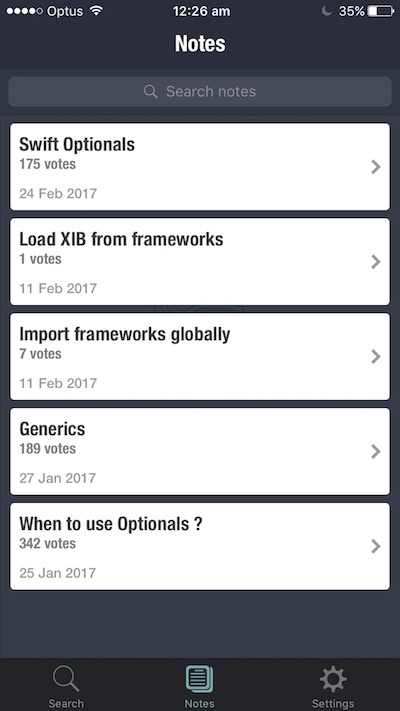 Browse other questions tagged app search iphone ios .